It’s like a ghost town around here these days, right? Things have changed dramatically in my personal life within the past three-four weeks. During the second week of October, Green Mountain Coffee flew me and two other bloggers, Kelby and Kristen (Two of the sweetest women bloggers!) to Vermont for two full days of exploring and site-seeing. The week after, I took the Amtrak train to Washington, D.C. for a conference I’ve been dying to attend, Blogalicious, thanks to Latina Mom Bloggers and the very next day, I started a full-time position at a medical office. And after only a week of working, I was looking forward to relaxing on the weekend but #Snowtober happened and we lost power for a grueling 24 hours! We were FREEZING because we don’t own a generator (bad choice when you’re a homeowner) AND we don’t have a fireplace (A must if you’re looking to be a homeowner). It was one of the longest 24 hours EVER! By now, I hope everyone who lost power, has their electricity now. It has been a cold Autumn. I’m so not looking forward to the Winter. I know it doesn’t seem like a lot to some people but for me, it definitely is. How do you do it and keep it all together AND stay sane? Tomorrow will be my third week of working full-time and I can now say that I’m getting used to being away from home all day long — well, almost. I know it will take some time to get used to my crazy schedule and blog, but I know I will get the hang of it. It’s funny though, I often ask myself, how did I do it before? I was once a full-time working mommy. I wasn’t a homeowner (So much to do when you are!). I had family nearby to help me out (My closest family members are over an hour away :/). I didn’t suffer from medical issues (I’m anemic, have Hyperthyroidism and an umbilical hernia — all which leaves me feeling exhausted most of the time). But I think I’m handling this change pretty well considering all the obstacles I have. Granted, my blog’s traffic has suffered dramatically as well but at least I’ll have some stability and financial consistency in my life as opposed to not knowing when I’ll get “that” check in the mail. If you’re a professional blogger, you know exactly what I’m talking about. I mean, why do these companies take SO LONG to pay bloggers? I’m 100% sure they would not appreciate their paycheck 60-120 days later after they had done THEIR job in a timely manner. I’m hoping I will get into the swing of things and find that magical balance and multitask with my job as a full-time working mother and as a professional blogger. Please stay tuned for some cool giveaways coming up. I have a Winnie the Pooh Blu-ray to give away (thanks to the folks at Disney), some Champion SHAPE workout gear (my favorite pieces!) and lots more! Thanks for being so patient, for those lovely emails and of course, for being a New York Chica reader. I work full time out of the home also, yes, it’s very hard. I have found that the best way to get through it is to do as much as you can and not beat yourself up for all the things that are left undone. I also make sure family time is a priority, so, this means sometimes my house will be a mess but my kids happy from all of us spending time together. Wow, you have medical issues too? Hope it gets better. Thank you for the congrats. I needed this job so I’m pretty happy. Hope to meet up again soon too! Welcome back to the world of a working mom blogger 🙂 It’s hard for the first few weeks but eventually you find a groove. Make sure to stop and take care of your health. Hey Nikki. You were definitely working it! Tropicana should be really proud of you girl. Some day I’ll be like you. You rock the working mommyhood really well. 🙂 Yes, we’ll catch up soon. I’m trying really hard girl. It’s not easy but I’m sure I’ll get it some day. Thanks for the hugs. Right back at you! Hoping you are still checking your email….hint, hint, hint !!! I am and I replied. I just out ANOTHER email to the pr rep. I’m getting at least one email a day from someone who didn’t receive their prize and it’s really upsetting so I apologize. Welcome back and from one working mom to another, good luck! One day at a time is how I do it! Hope to see you soon! I agree! It’s definitely a challenge! And like Marcella says, don’t worry if the house isn’t clean. It’s a mystery how my house is dirty 5 minutes after I clean it but I concentrate on the bathrooms and kitchen (bc that’s where all the germies truly live) and hope the hubby helps out when he can! I tend to write on Sunday afternoons and post throughout the week. I also keep a semi schedule of ideas on a notepad in my phone. Helps me stay on track. You just prioritize and I’m sure you’ll find your groove sooner or later. And if you only post once or twice a week then hey it’s better than nothing! Congrats again on your new job! The pen and notebook helped a lot with this post, believe it or not. That is my thing now. Thanks for the congrats chica. HUGS! 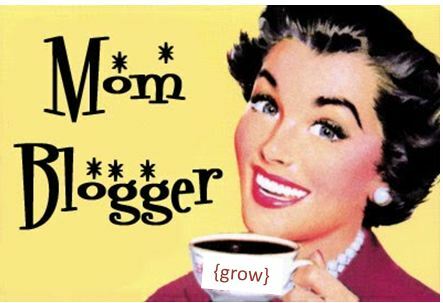 Congrats on the job and welcome to the working mom/blogger world! Welcome back. Glad to hear you are starting to get into the groove of things. Be patient and things will all come together. One day at a time, I’m sure you’ll find a way to fit in the blogging schedule to your new daily schedule. Ay Chica, I understand what you mean. Sometimes I think that blogging is the ony thing that keeps me sane and yet I dont’ give it enough love. I work crazy full time hours, I have to rehearse and work on my craft during the week and have class with my coach at the end of the week. The business of acting is a hefty project and I’ve got to fit that part in at least once a week to keep up with my marketing schedule. I help my mom manage the property (she’s gotten better at taking the reigns though) and deal with the family calling me for free legal advice (I’ve gotten better at saying no now). Life is chaotic and it’s amazing. But my blog suffers at times. I’ve got Che with his beautiful two kids and on the weekend they take up my time too, aside from my mom and my sister who I rarely see – I love that time I spend with them, but at some point I need to clean the house, do laundry, exercise, sleep, and maybe see my friends! sigh. it’s a delicate balancing act. My blog has suffered for it and I’ve put it on the back burner as a result. Acting – the craft and the business – has my focus as does my family. But in your case I know you will find the balance (having an iphone helps). Did you see the Tony Robbins video on over chunking and under chunking? It helped me a lot. Your blog is amazing and your dedicated followers are going nowhere. Tony Robbins? I never heard of him. Send me the link, if you can. 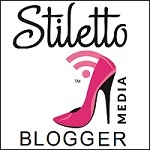 And, i hope you get your blogging mojo back too! I have that app on my ipod and ipad but need to find the time AND energy to write those posts. Sigh.. Thanks for stopping by.